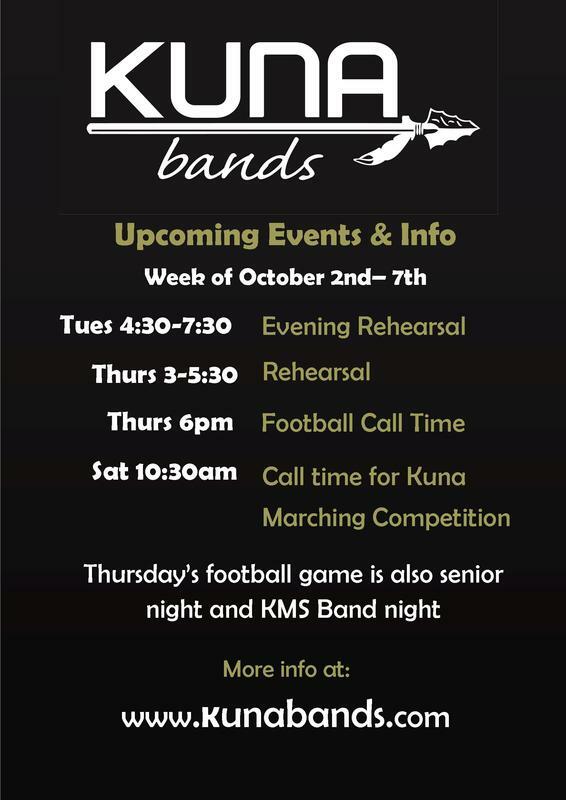 ALL STUDENTS (including colorguard and percussion) will meet at KHS from 1-4pm on Thursday and Friday to prepare for the parade. 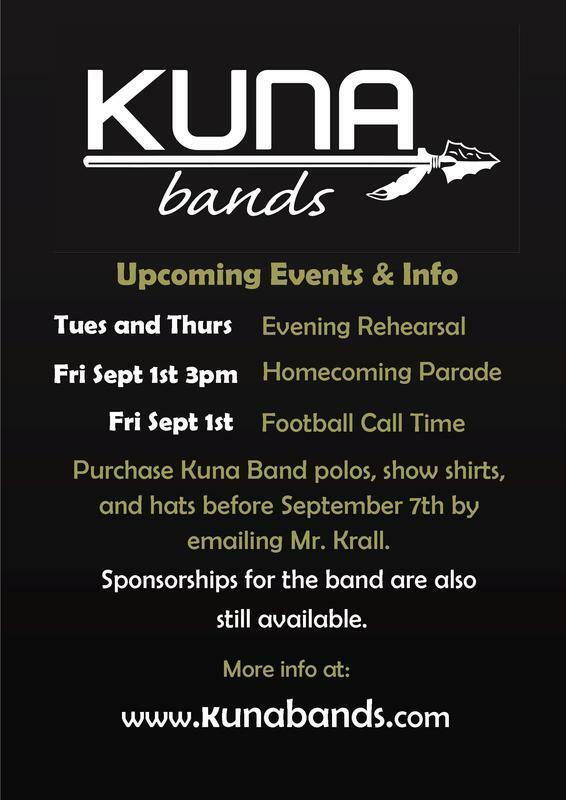 ATTIRE for the Parade is black or dark gray Kuna Band shirt (or black Kuna shirt or plain black shirt if you don't have a band shirt yet), black gym shorts, short or mid-length black socks and athletic shoes or marching shoes. Sunglasses are permissible. 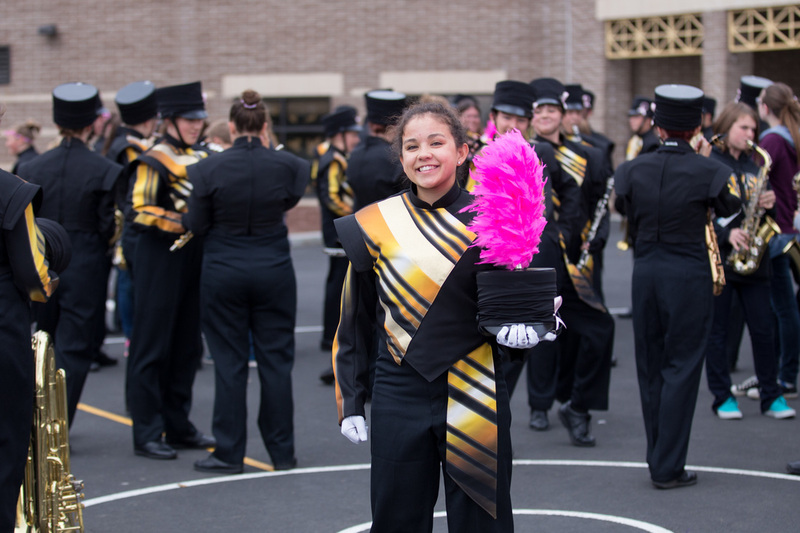 I just wanted to send a quick note to notify parents that as students are coming into camp this week and in the upcoming weeks, as a band, school and a district, we are looking to take care of your students to the best of our abilities. We are aware of the weather conditions and the side effects of the hot weather we get this time of year. We look to balance indoor/outdoor facility use as the heat becomes a concern. Please help your students to remain well fed and hydrated for these conditions. Also, there are regulations and protocols set into place which help us to monitor the smoke and air quality. As we move into camp, these conditions are taken into account on an hourly basis as we try to limit students' exposure to poor air conditions. 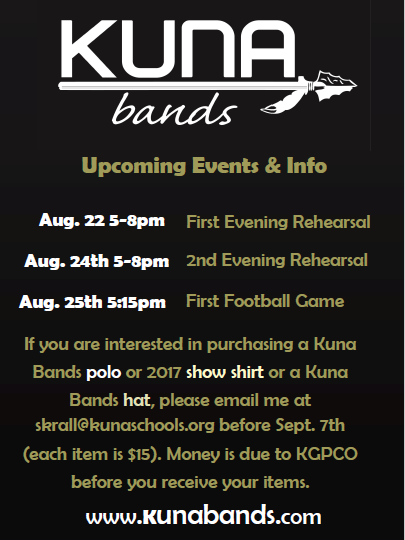 Please don't assume that rehearsals will be cancelled due to weather or air quality as we always have things that we can work on inside. Thank you! 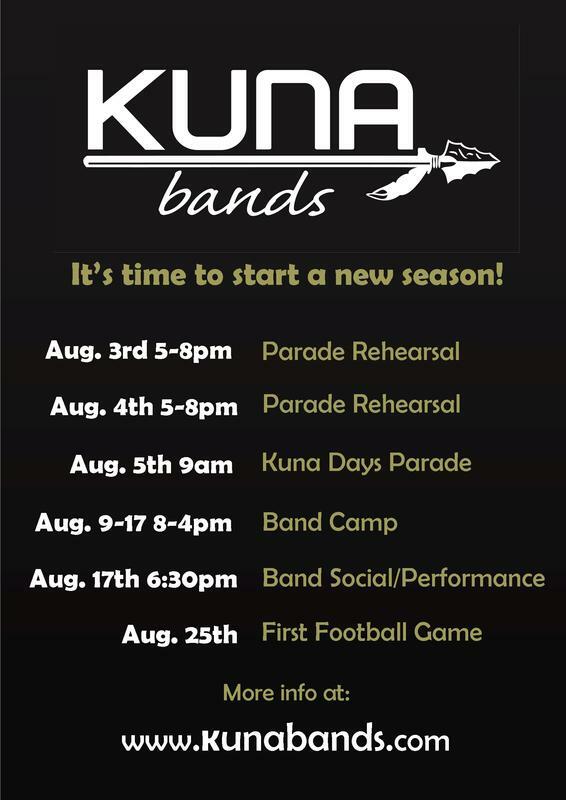 We are looking forward to a great year at Kuna High School! 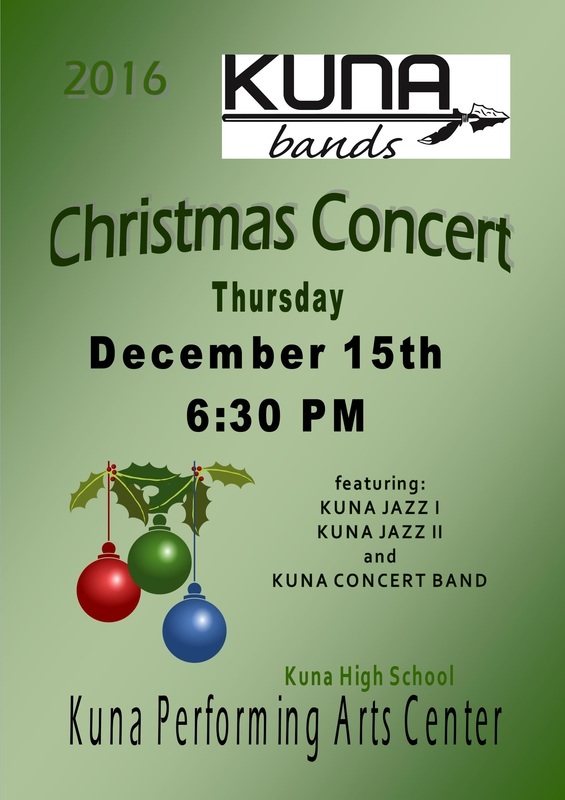 KSD Combined Concert Coming up! 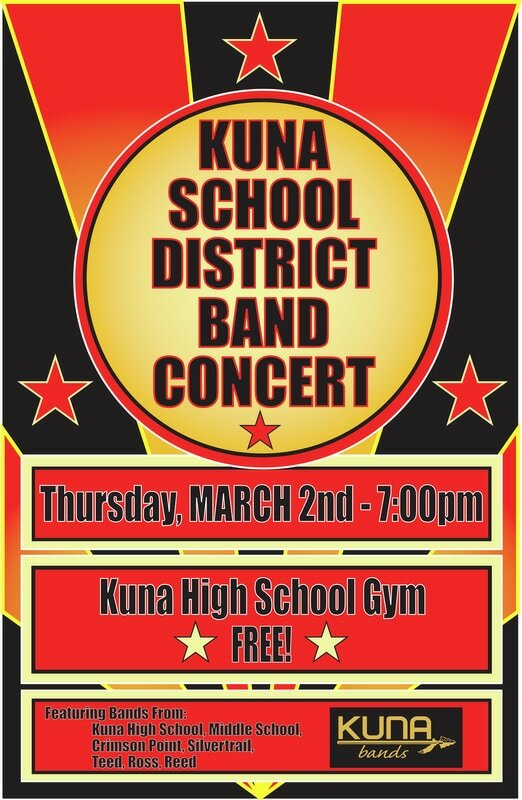 All Kuna School District Bands will be playing Feb. 22nd at 7:30 PM in the KHS Gym! 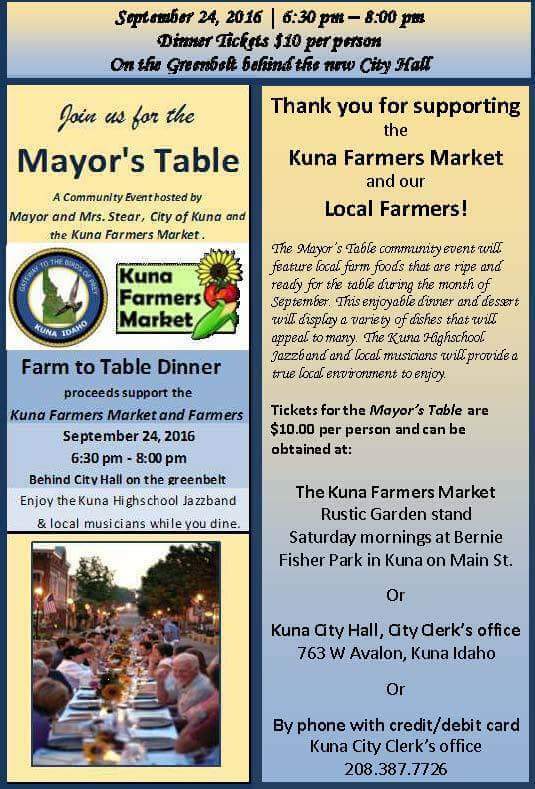 All Hands on Deck for Saturday's Fundraiser! 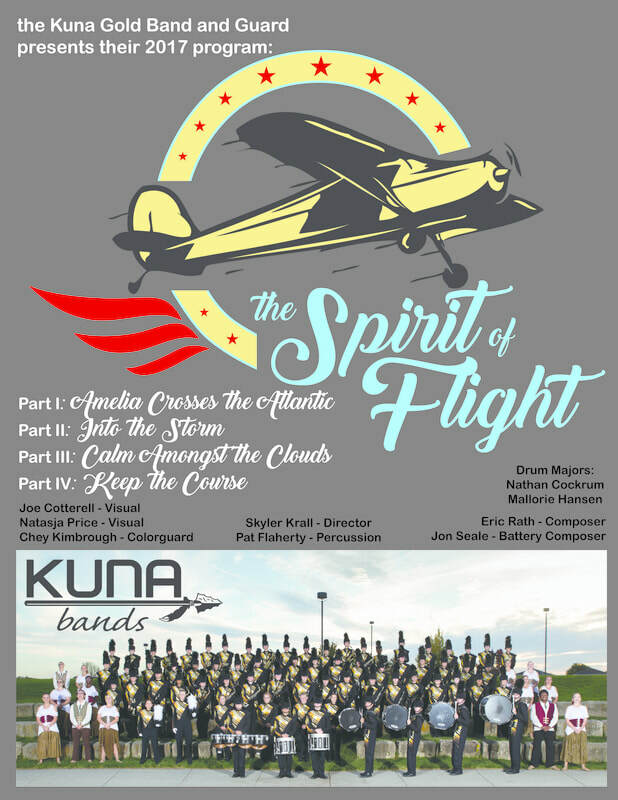 Kuna Gold Finishes Marching Season with great Performance! 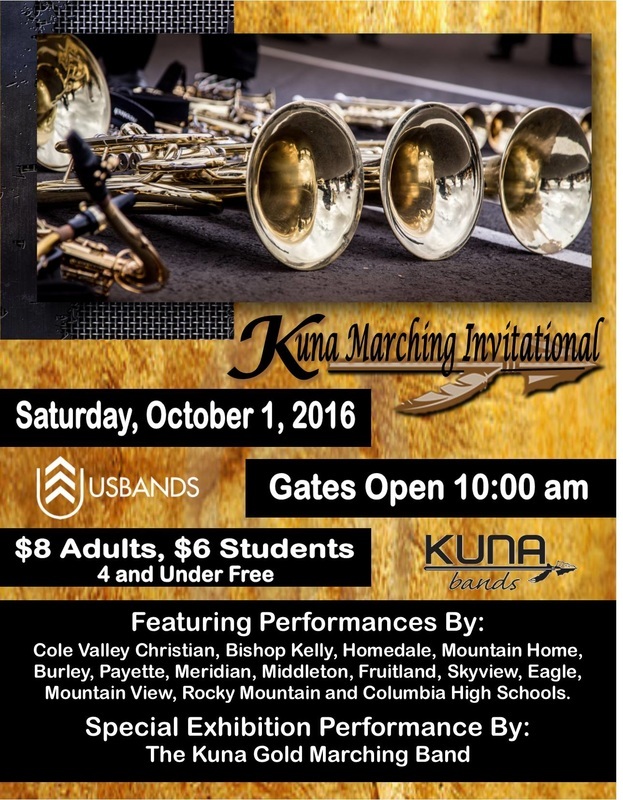 Kuna Gold Band and Guard's performance at 2017 Mel Shelton DIII Marching Championships. 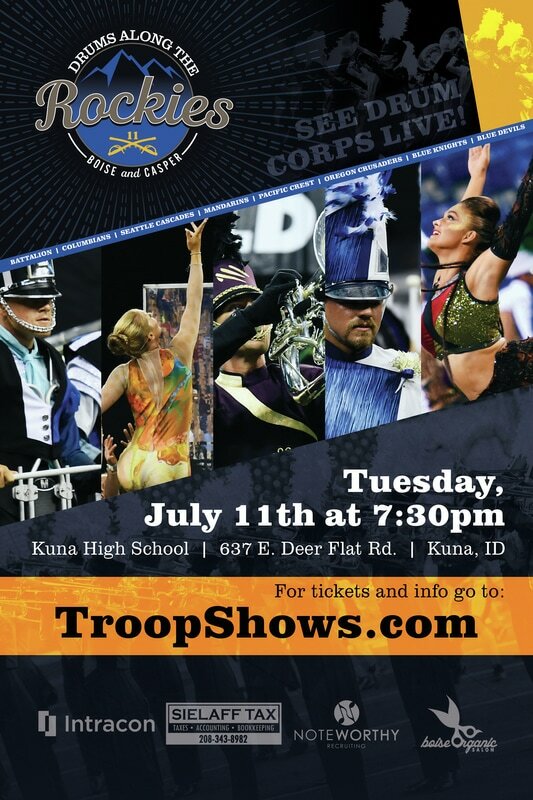 Troopers Drum & Bugle Corps coming to Kuna! 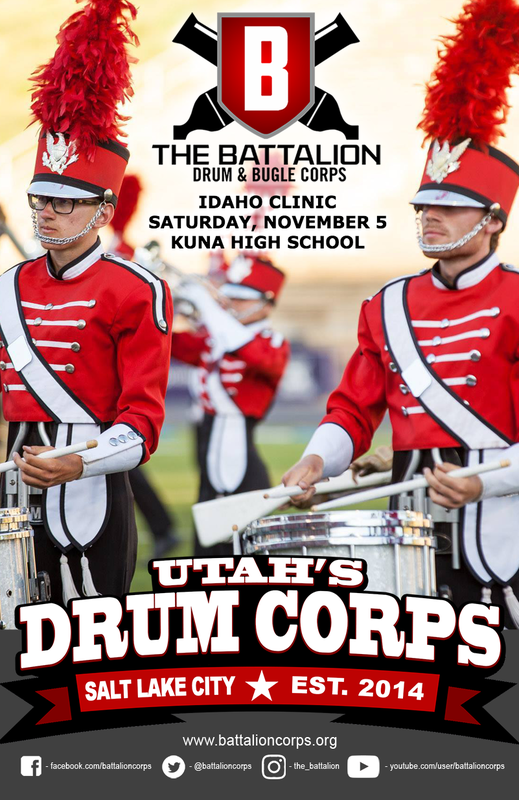 December 9th, the Troopers Drum & Bugle Corps will be hosting a brass audition at Kuna High School. Visit http://www.marchtroopers.com/satellite for more information. 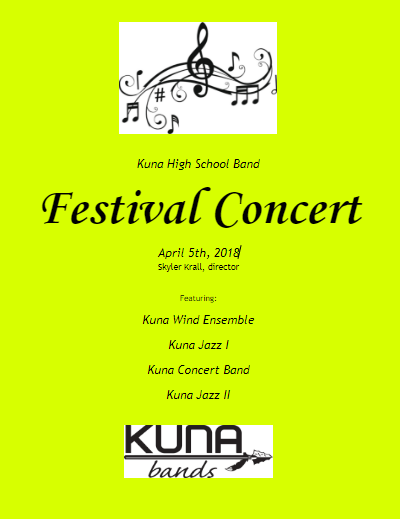 Please see Mr. Krall for the password to auditioning for FREE as a Kuna High School student! 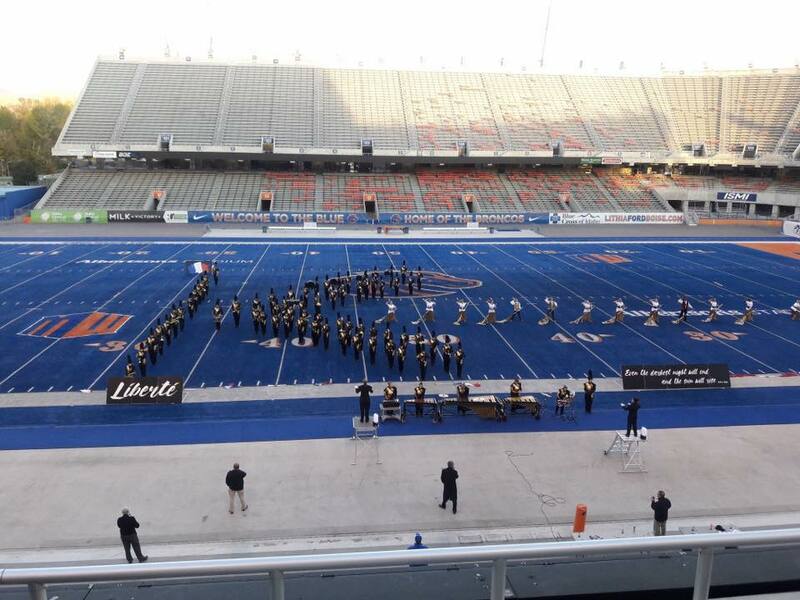 Great Job at ISU! 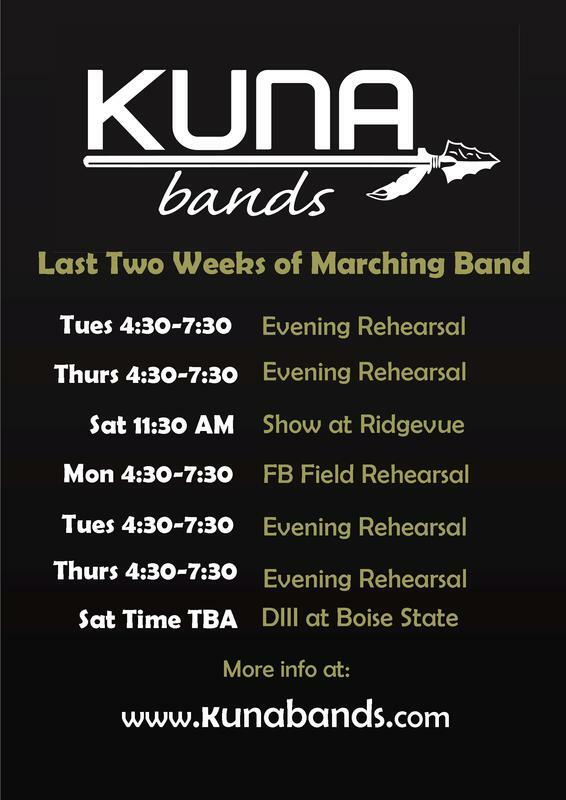 Remaining Marching Schedule Below! 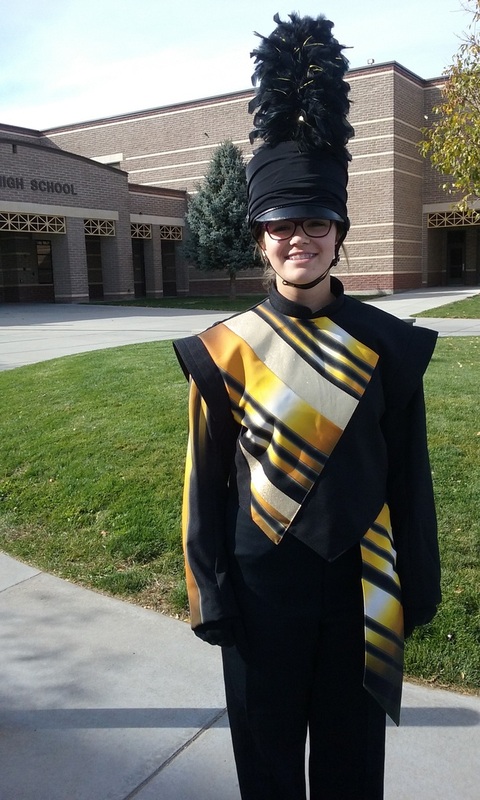 We're getting closer and closer to our first competitive show (beginning Sept. 30th at Caldwell High School)! Accordingly, we have some rehearsals planned to finish building the show over the next couple of weeks. 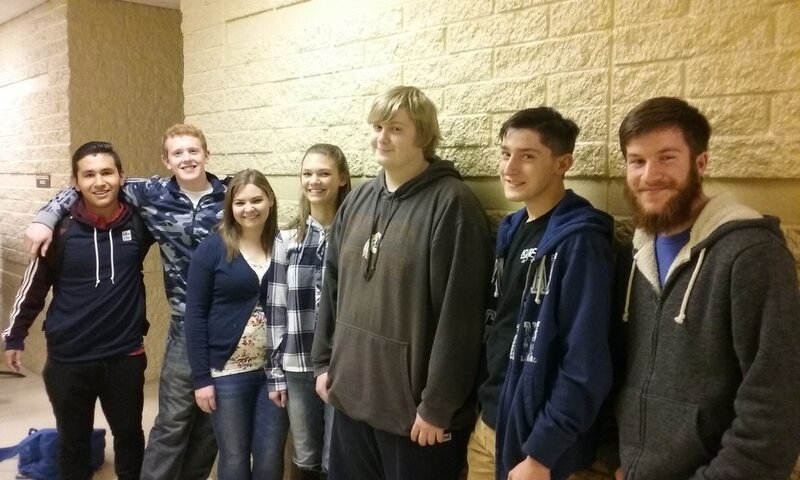 Students will play at the assembly beginning around 1:45pm. 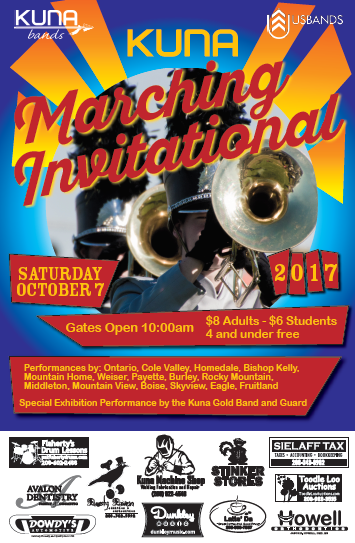 We will then board buses after the assembly around 3:15pm and head to Bernie Fisher park where the parade will begin at 4pm. 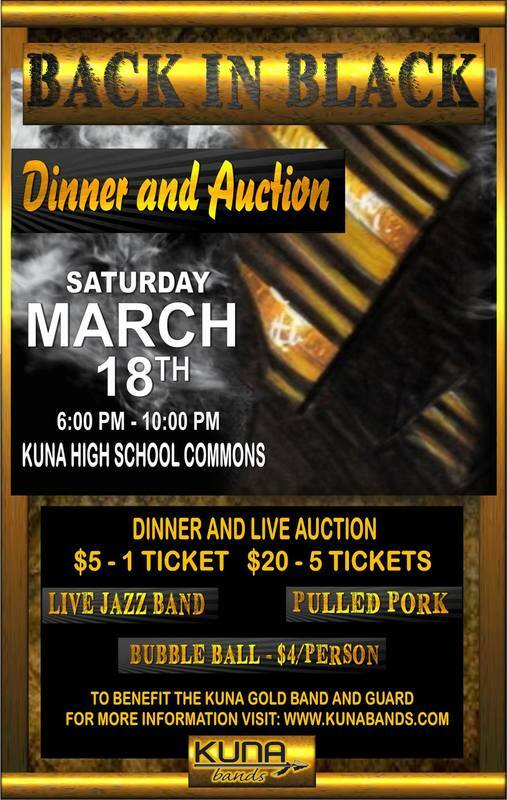 Attire is black kuna shirt, shorts, socks and shoes. The route goes straight up Linder, on to Porter and then ends at the south side of the high school. We should be done around 4:30-45ish and students are encouraged to find some food and rest before the football game call time at 6pm. ​After the game is done, we will mirror our activities from last week by playing the show and heading back to the school together at which point they will be dismissed.